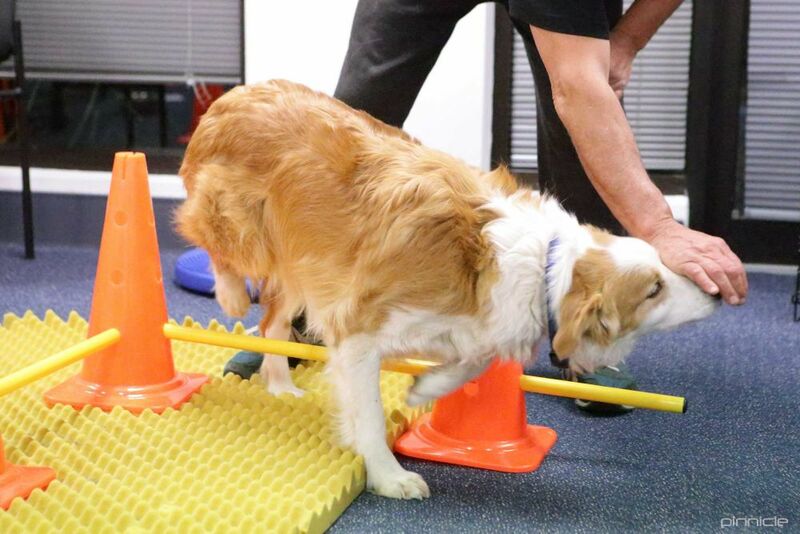 We received fantastic feedback on our canine conditioning courses last year, which we developed from our extensive canine physiotherapy experience and the work we’ve done as human physiotherapists working with elite athletes. Human athletes spend months preparing for big events and research is being constantly done to further improve their results – why not let your canine athlete profit from this knowledge, too? We’re very excited to have our next round of conditioning workshops close to fruition – in an exciting new venue and with brand new formats! Here we’re challenging our friend’s core stability by making him balance with his front legs on a foam cushion while Naomi gently pulls him off-centre with therapy band. Mum is keeping his head up high with a yummy treat to help ensure his back is in the right position to switch his core muscles on properly. 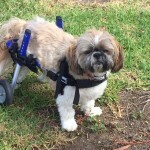 This picture shows one of our tinier friends, Maddie, working hard to build abs of steel! 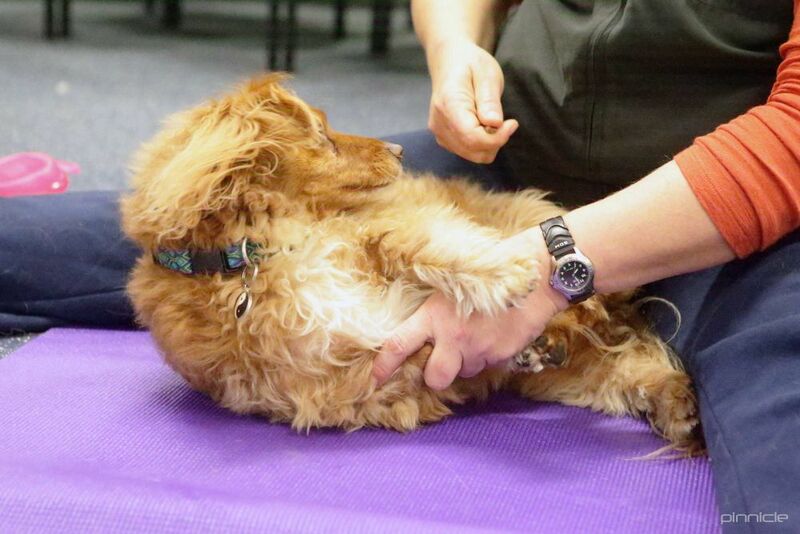 She’s demonstrating a ‘puppy sit-up’, which strengthens the abdominal oblique muscles just like oblique crunches do in people! If you look closely, you’ll see that Mum has increased the difficulty by holding Maddie’s lower arm off the ground – no cheating by pushing through her elbow for Maddie! High level athletes need to know exactly where each of their legs are at every moment – if they don’t, their injury risk is increased and their performance is likely to suffer. In this photo, you can see how our friend has to negotiate not only obstacles, but also on a variety of different surfaces and while turning direction! Of course, being a Border Collie, our friend can multitask and eat a treat at the same time! 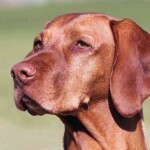 Register your interest in our Canine Conditioning Courses today! To add your name to our waiting list, please fill in this form with your dog’s name, age and sport, and your contact details. When our dates and venue are finalised, you will be one of the first people to know! Have you participated in our courses before and can’t wait for our 2015 courses to start? Please let everyone know how much you and your canine friend enjoyed them by leaving a comment below!